The Respironics NM3 monitors physiologic gas exchange, deadspace, and alveolar tidal volume, as well as a host of accessory parameters. 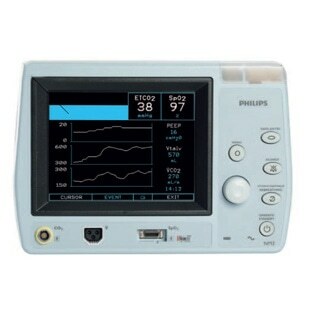 This monitor helps minimize the duration of mechanical ventilation and optimize the potential for successful extubation when managing critically ill patients. The Respironics NM3 is used for adult, pediatric and neonatal patient types.